We have so much respect for the many ways LPL advisors exchange information and ideas on social media. 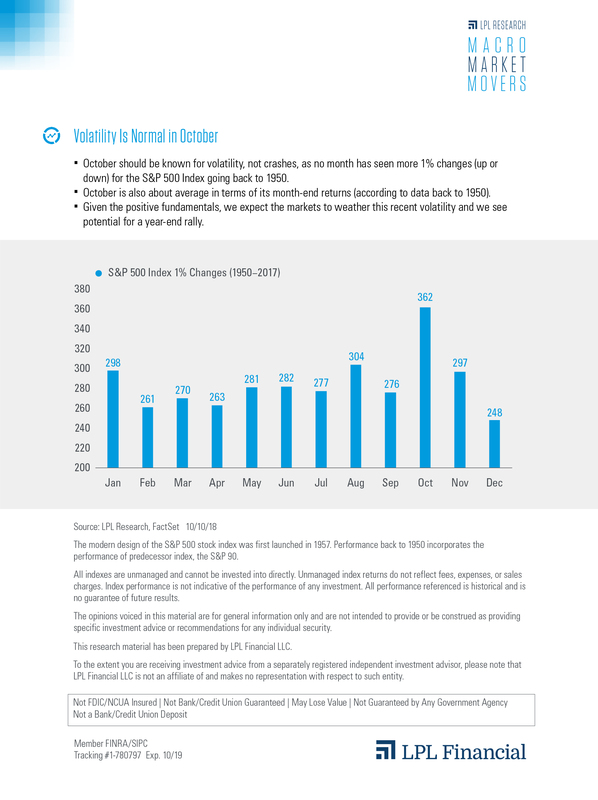 Here are some of our recent shares from October, when volatility and midterms were top of mind. Grace S. Yung, CFP® of Midtown Financial Group, LLC in Houston, Texas, shared perspectives on October’s rocky ride. Click here to view the full chart. Kashif Ahmed, MBA, MSF, CFP® of American Private Wealth® in Bedford, Massachusetts, shared a video that put October volatility into context with hashtags that called attention to broader themes. Amir Barar, CRPC®, AIF® of Laurus Financial Group in Walnut Creek, California, highlighted a popular chart with a silver lining from LPL Research’s’ blog. Click here to view the full chart. 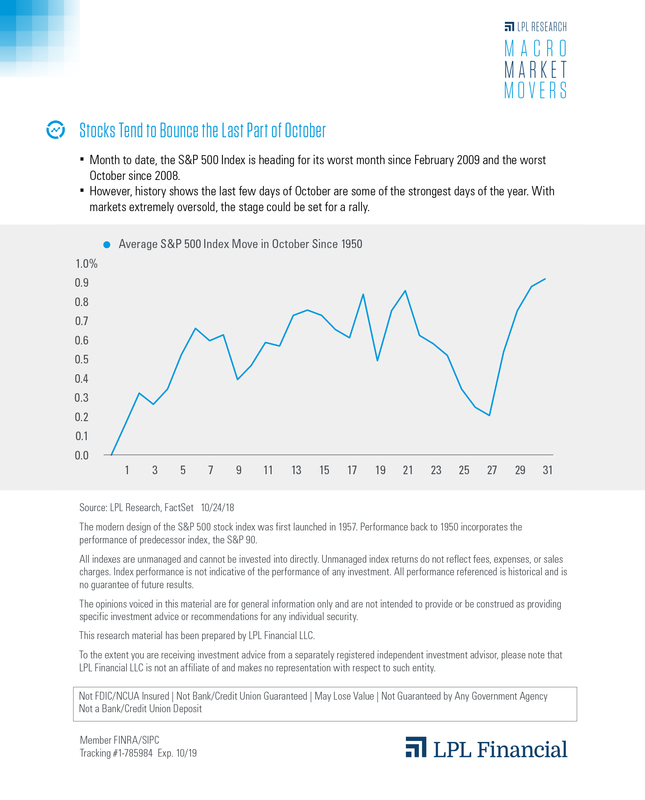 Shari D. Miller of Symbio Financial Partners of La Jolla, California, commented on strong fundamentals in light of October volatility. Click here to view the full chart. Looking ahead to year end, Patrick Gainer, CIMA®, AIF®, CRPS® of Financial Advocates Investment Management in Roseville, California, highlighted a popular blog featuring historical S&P 500 Index performance. Click here to view the full chart. And keeping our focus on our most important assets, LPL celebrated Diversity and Inclusion awareness during October with many messages on Twitter, such as this post from @LPL featuring LPL advisors’ insights. As always, LPL Research values the opportunity to hear from our advisors and invites you to join our daily discussions on Twitter.